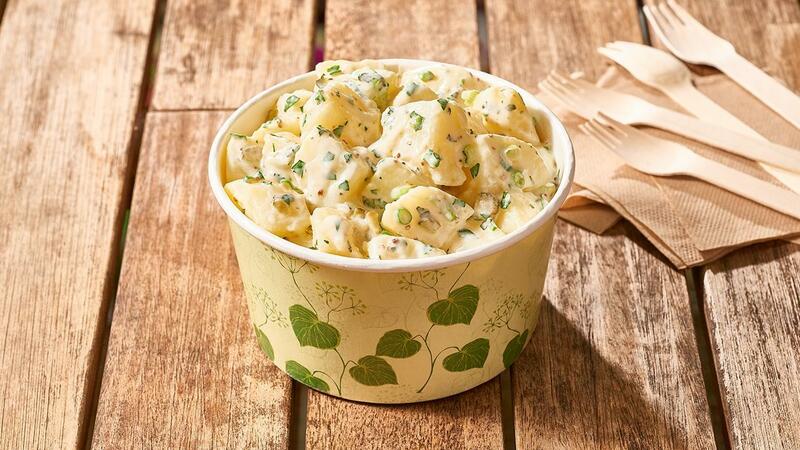 Add a beautiful creamy texture and balanced flavour to your potato salad by adding HELLMANN'S Deli Mayonnaise. It will hold up well and will not turn your salad watery. Cook the potatoes in a large saucepan until tender. Drain and cool completely. Meanwhile, combine HELLMANN'S Deli Mayonnaise with COLMAN'S Wholegrain Mustard and 60ml water. Toss pickles, herbs and green onion through the dressing then fold through the cooled potatoes. Display the potato salad scattered with extra herbs.